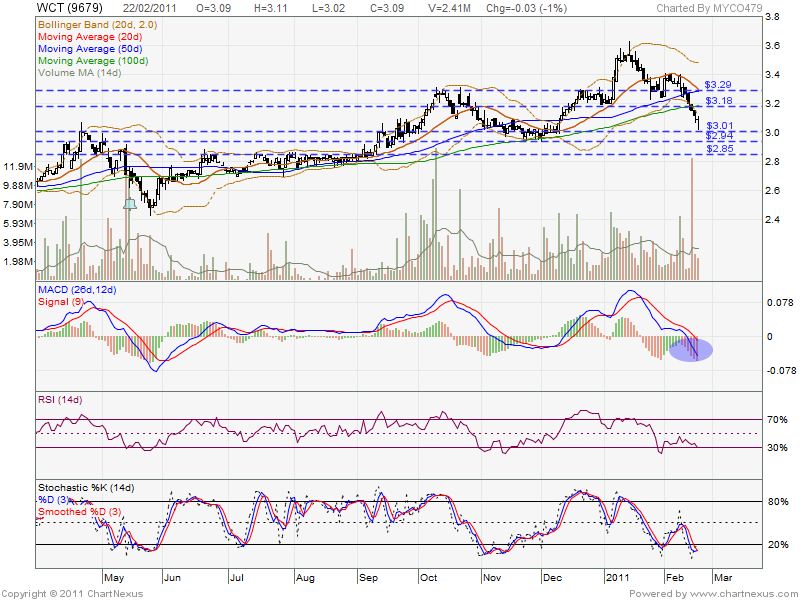 As 22 Feb 2011, WCT retest RM3.00 psychology level OR around MA200 support level. 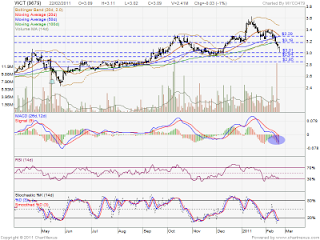 If future retrace down, next support would be RM2.94 & RM2.85 support level. However, if rebound, it might retest RM3.18 & RM3.29 level. At this moment, no reversal candelstick been formed. Added, MACD trade at negative region.